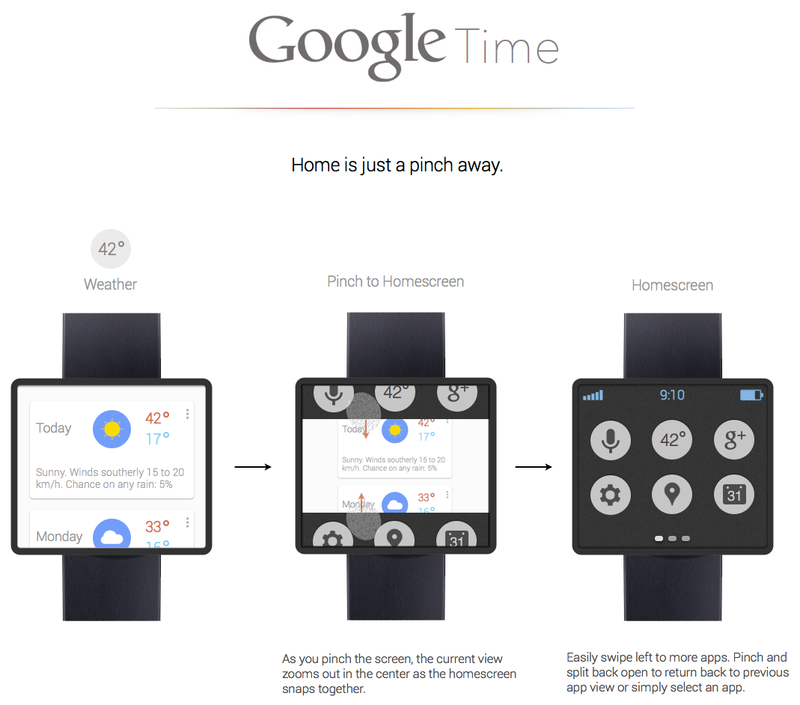 With wearable tech a bit of a buzzphrase right now and talk of a possible Apple/Intel smartwatch doing the rounds, this concept for what a Google watch might look like is right on cue. Using Google’s latest design language, this ‘Google Time’ concept by Adrian Maciburko is a nice idea for a super-simple take on the kinds of features such a device might have, including voice and touch interfaces. 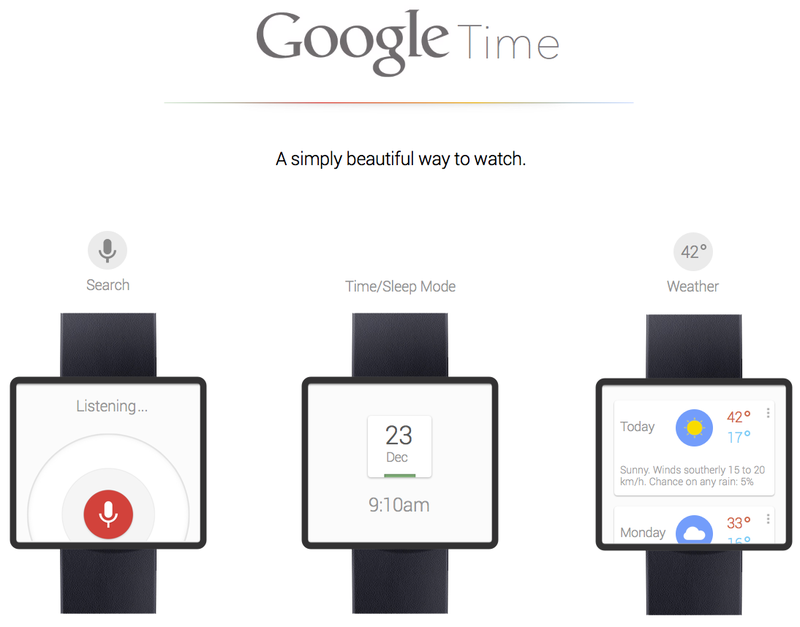 What strikes me though, is how a smartwatch from Google would be a perfect fit for working with Google Now. 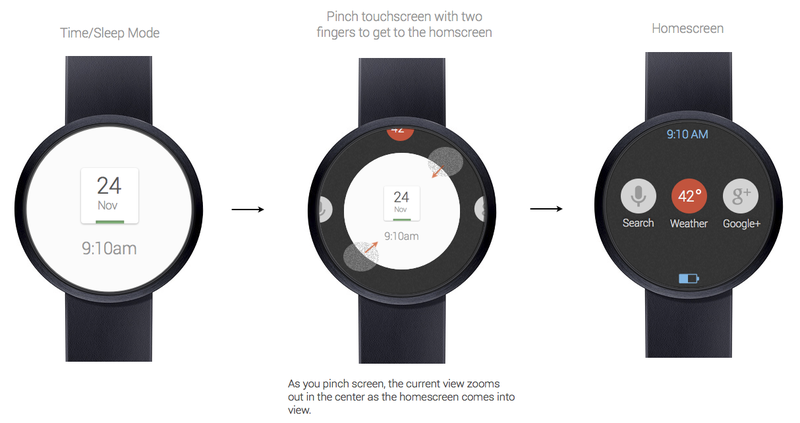 A Google Now-equipped watch would be in sync with your Google account, notifying you about upcoming meetings, flight delays, birthdays and more just as Google Now does on recent versions of Android. What do you say, Larry? Make it happen!